Wine not come to County Terroir?!?! Our lucky runners are being treated to complimentary passes to attend the 2018 County Terroir, an annual celebration of spring wine releases from Prince Edward County Wineries! For those of you who weren’t able to register for our run (we SOLD OUT in February), you can still come and have some terroir fun! On Saturday, June 2nd from 11am to 4pm at the Crystal Palace you can wine, dine and dance your way through some of the counties finest 2018 releases from 18 County wineries. New for 2018, on Sunday, June 3rd you can partake in VIP Cellar Tours for $20 per winery at Lacey Estates Winery, Sandbanks Winery, Huff Estates Winery, Broken Stone Winery, Three Dog Winery, Grange of Prince Edward Winery, Black Prince Winery, Karlo Estate Winery, Rosehall Run, Half Moon Bay Winery, Norman Hardie Winery, Keint-He Winery & Vineyards, Traynor Family Vineyard and Trail Estate Winery. 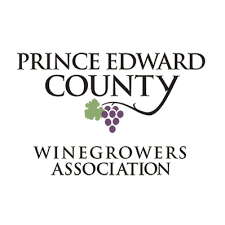 Many thanks again to Prince Edward County Wineries for supporting the Terroir Run! How are you training for May 28th?